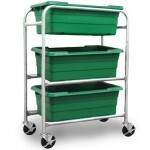 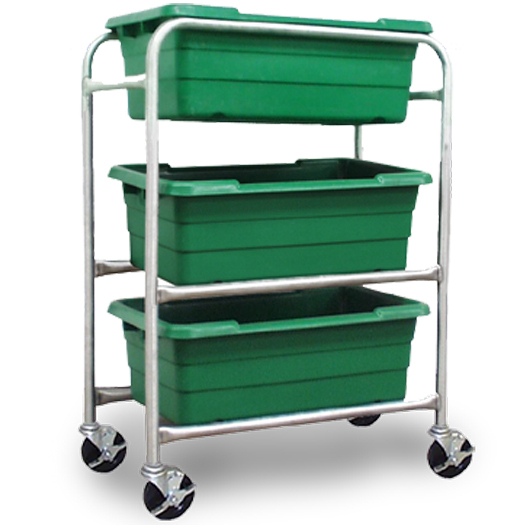 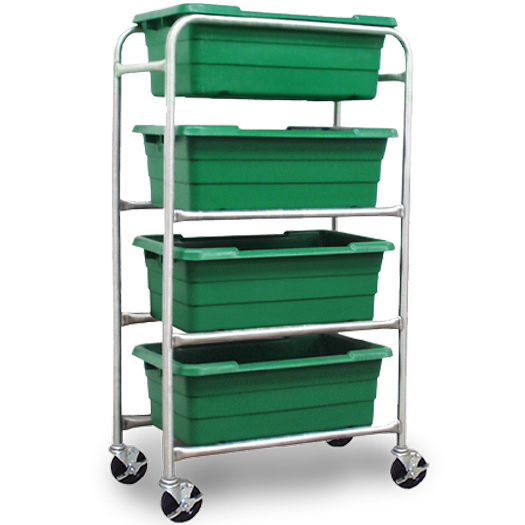 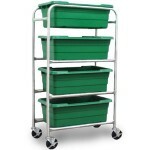 Daniels Food Equipment manufactures tub dollies and luggar carts. 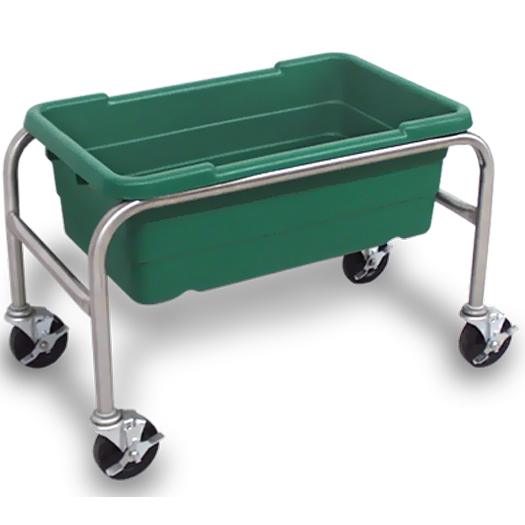 We use durable stainless steel construction and plastic tubs with up to four tiers of tubs. 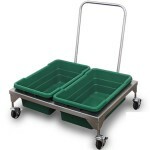 Designed for two 60 lb. 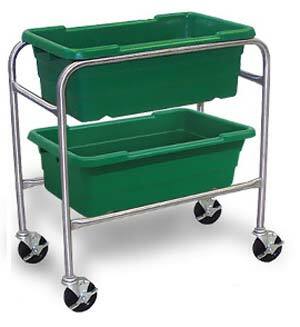 Plastic Luggers. (Not Included) Works well for unloading the 300 and 500 lb. Mixers and Tumblers.